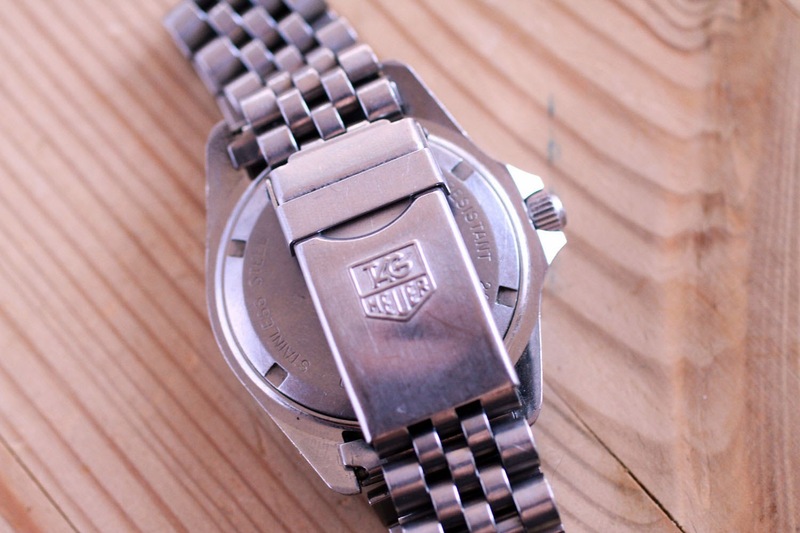 Heuer became Tag Heuer around 1984/85. This mean that some Tag Heuer is sort of vintage by now. This lovely diver ref. 980.013N is a fine example of this. It's a Tag, but it look and feel much like vintage. 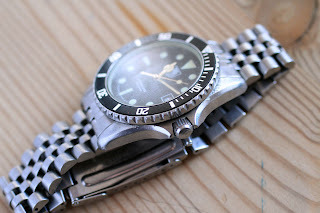 The dial and hands have a nice patina. The hands has a lovely creamy color. This gives the watch a nice vintage look. 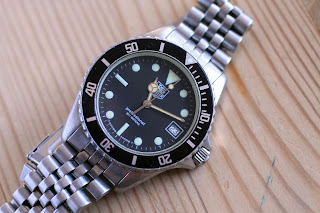 If you are looking for a nice diver, but don't want to pay big money for a vintage Heuer 844 this is a nice alternative. It's a classic, looks good, and can be picked up cheap. Recommended! Where can I buy one of these ? ?